Do your feet hurt? If you have pain when walking that refuses to go away, even by staying off it or wearing orthopedic shoes, you might have a condition called plantar fibroma. A plantar fibroma is a painful benign lump that appears on the bottom of the foot. The nodule can appear at any time during a lifetime, but generally begins its invasion of the foot after the age of 10. A plantar fibroma usually grows quite slowly and is comprised of the cells surrounding the ligaments in the foot. A plantar fibroma can appear in either or both feet and usually is located between the skin and the muscle. Most often only one nodule appears, but it is possible that more than one appears at a time. A plantar fibroma rarely grows larger than an inch, however, the location of the mass only aggravates the painfulness associated with the growth. The common area where the plantar fibroma attaches is directly in the middle part of the foot, the arch/instep, halfway between the ball and heel of the foot. Because of the placement of the fibroma, walking and other weight-bearing activities can be a painful process. Additionally, as the growth gets larger and larger, it can invade other areas of the foot, such as digits, nerves and blood endings making it a more serious problem. There’s not a specific cause associated with plantar fibroma, and trauma doesn’t seem to be a factor. And while there’s some speculation that genetics are involved, there’s no corroborative scientific proof, though some people who are afflicted with the malady are more prone, and seem to be predisposed. The first order of business is to diagnose the plantar fibroma, to differentiate it from other conditions that exhibit similarly, such as cysts, soft tissue masses, benign or malignant tumors. A doctor will order an X-ray or possibly an MRI to determine whether or not the growth is a plantar fibroma. Unlike plantar fasciitis, plantar fibroma will not go away on its own. Non-invasive therapy can reduce symptoms associated with plantar fibroma. A change in footwear will assist in relieving painful symptoms by removing the pressure placed on the foot when bearing weight. To distribute weight off the plantar fibroma, wear flexible shoes, supported and cushioned shoes that are widest at the toes. Toe-spacers also distribute weight from the affected area and across bones and joints. Surgically removing a plantar fibroma is fairly invasive, as the growth is usually quite deep. In an attempt to prevent recurrence the surgeon will remove the entire fascia, separating it between nerves and other structures in the foot. The surgeon will insert a drain for 3 to 5 days, so the site releases fluid and blood to prevent infection and clotting. The patient will be unable to bear weight on the foot for no less than three weeks. It is extremely important that the patient stays off the foot for the amount of time recommended by the surgeon. Otherwise, severe complications could occur. The affected foot should be elevated post surgery and shoes should not be worn on the foot for a month or more. The patient can resume normal activities in a week or two, but only if the patient is diligent to use crutches and to otherwise keep the foot elevated. Getting back to work and play is important to you. It’s important to us too. 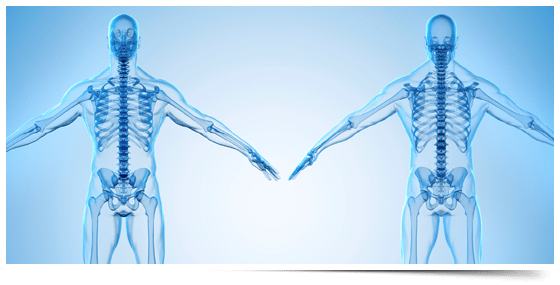 At Florida Sports Medicine & Orthopedics, our goal is to get every patient back up and running toward his or her good health, but in the safest way possible. Contact our office at (805) 763-0346 or book an appointment online and get back on track for good health.